Trying to understand that ultimate tournament, we’ve got ya covered. Sophie Scofield-Selby of Birdfruit fame and no stranger to Ultimate tournaments has put together this ever so handy primer on understanding tournament formats. With Spring Reign right around the corner, it seemed a perfectly fine time to get this out there. Whether this is your first tournament or you are a seasoned veteran, this guide is a nice brain dump of information. No doubt that Spring Reign will give more information rather than less, but some times the information can take awhile to puzzle out. Hopefully this helps. Note there is something of a glossary at the bottom of this post in case some terms or references don’t make sense. Generally, but not always, a two-day tournament will have pool play take place on Saturday, and bracket play take place on Sunday. Sometimes however, the first game or two of bracket play will take place after pool play on Saturday. This usually happens when the pools are only 4 teams big. 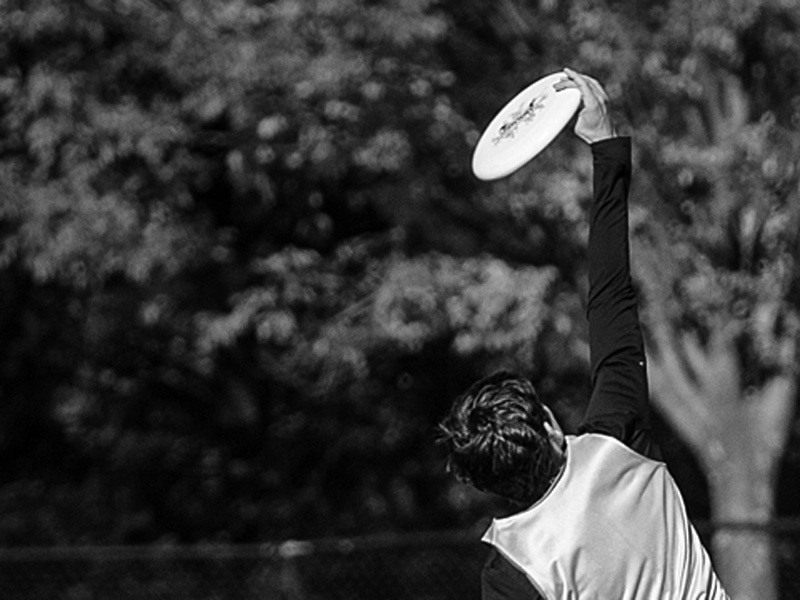 Reading a schedule is probably the most daunting part of an ultimate tournament. Schedules are covered in seemingly arbitrary numbers and letters, that are somehow supposed to correspond to games, that then point you to a place on a map (usually several numbered rectangles). But the thing to keep in mind is that all the information is there, you just have to get used to how it’s formatted. An above-and-beyond TD will write down and email out each team’s location and opponent explicitly for each round. This is rare, however, as most TDs have far too much to do. In the most confusing case, each team is assigned an ID of sorts going into the tournament. If my team is the 7th seed in the B division going into a tournament, my initial ID will be B7. This will show me what pool I’m in, and the pool play will then have a tabular schedule I can reference. Usually the fields will be on one axis, and the round on another. For any given round, I can look to find my team’s ID, then see which field number that corresponds to. I will then have to look at the field map to see where my field number is. The really confusing part comes in after pool play, when teams are put into bracket. It’s confusing because that initial ID your team had [usually*] no longer matters (and the way your team is referenced will continue to change based on the outcome of games). Each division’s bracket will be labeled, with each game on the bracket attached to a pre-determined field. Each game in bracket will be lettered. Pay attention, because these letters are important later. Usually, teams will be initially placed in brackets based with the name, but sometimes you may be labeled with a combination of your pool and rank within the pool. For instance, if I finish 3rd in the B pool of Division B, I would look at the Division B bracket, and find B3 (because obviously). If my teams wins all of our games, the bracket is usually pretty straight forward, and can be followed visually with ease. Losing, however, makes things a little trickier, because you then move into the consolation bracket. Let’s say my team loses in quarter finals, in the game labeled ‘G’. To find my next game, I need to find the consolation game between ‘LG’ (meaning ‘loser of the G game’) and some opponent. This game will also have a letter, and I will then have to follow the bracket somewhere else at the end of that game. Obviously this sounds like a huge headache and you’re probably wondering why on earth tournaments are set up like this. The answer is that it allows for organizers to follow a pre-determined schedule, that can be followed an read regardless of the outcome of games. This removes the need for organizers to check in a tournament central to give TDs their scores and tell them the outcome and next round and for TDs to then distribute that information, all within a narrow time frame. *The only time this isn’t true is when pool play doesn’t matter and only exists for the sake of giving teams more games. This is rarely the case, but can usually be figured out through context or labels. Division: Subset of teams competing. Sometimes divisions are broken up by gender (men’s, women’s, co-ed/mixed), sometimes by experience/skill (A division, B division, etc), sometimes by age (middle school, high school, etc), and sometimes by size of school (Div I college, Div III college). With large tournaments, some combination of criteria might used to create divisions. In the case of skill-based divisions, placement is either dictated by past performance, or by self-selection. For any given competition, teams will generally only play other teams within their division. Seed: Rank going into a competition. Pool: Within a tournament, a pool is a further subset of 4-5 of the teams in a division. If a division at a tournament has 16 teams, there could be 4 pools, each with 4 teams. Usually the goal is to make each pool an even sampling of the talent in a division. For instance, Pool 1 might have the 1st seed, 5th seed, 9th seed and 13th seed, while Pool 2 has the 2nd seed, 6th seed, 10th seed and 14th seed, and so on. Pool play: Pool play consists of playing a round-robin with all the teams in your pool. This is basically a sanity-check on the seeding. In the example above, Pool 1 had the 1st seed, 5th seed, 9th seed, and 13th seed. If the 9th seed beats the 5th seed in pool play, this will then affect their rankings in the next stage of the event: bracket play. Bracket play: After the ranking are shifted due to the outcome of pool play, the new rankings determines a team’s placement within a bracket. The format of the bracket can vary a ton tournament to tournament, but the general idea is that, as long as a team continues to win, they will progress to the finals. Most tournaments also have consolation brackets, so when you’re eliminated from the championship, there are still games to play. Tournament Director (TD): The person, or people, in charge of organizing the event. Tournament Central: At a tournament, this is the location to go for information. At a sparse tournament, this may just be where the TD(s) hang out. At a large tournament this will include snacks, merchandise, a trainer, as well as maps, schedules, and of course, your friendly TDs. Most tournaments fall somewhere in the middle. Bye: A round that a specific team doesn’t play. Ex: My team has a round 2 bye, so we won’t be playing between 11am and 1pm.